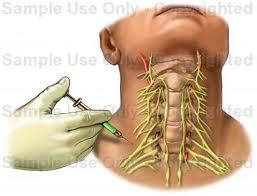 Stellate ganglion block has a diagnostic and therapeutic value. It is applied to treat various painful conditions of the head, neck, upper extremities and upper chest. If the diagnostic block with local anaesthetic brings satisfactory analgesic result, then follows radiofrequency neurolysis of the ganglion. The stellate ganglion is formed at the point where the inferior cervical ganglion meets the first thoracic ganglion, at the anterior surface of the 7th cervical vertebral body. The ganglion is very closely adjacent to the carotid sheath, vertebral artery, phrenic nerve and recurrent laryngeal nerve. 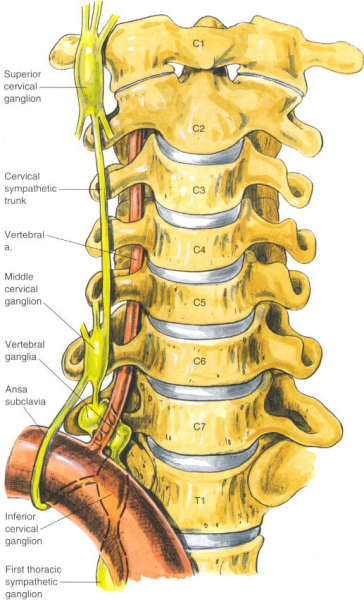 At the C7 spine level the vertebral artery courses anterior to the stellate ganglion, while at the C6 spinal level it courses posterior to the ganglion. Stellate ganglion block can be performed with various techniques. 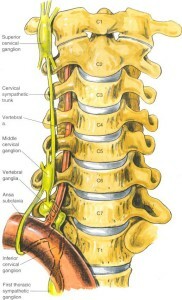 One of the most common ones is the anterior approach at C6 spine level. Relatively large amounts (5-20ml) of local anaesthetics are injected about 2 mm above the Chassaignac tubercle. Such a large anaesthetic volume is needed so that the drug can be diffused downwards, where the stellate ganglion lies. The approach can also be conducted at C7 level by applying smaller amount of local anaesthetic. However, there is the risk of vertebral artery puncture that might provoke pneumothorax. The patient is placed in the supine position with a pillow under the shoulders so that the neck is slightly overextended and the mouth slightly open. After the region has been locally sterilised, the physician sets aside the patient’s sternocleidomastoid muscle and carotid and palpates the Chassaignac tubercle (using fingers of one hand). Local skin anaesthesia is applied at the puncture point and a needle is inserted and advanced under fluoroscopic guidance until it comes in contact with the tubercle. 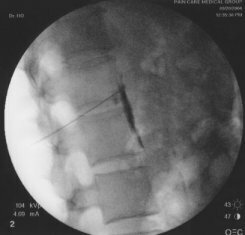 The proper position of the needle is confirmed by infusing contrast medium and acquiring anteroposterior and lateral fluoroscopic images. The needle is withdrawn about 2mm and a slow and controlled infusion of the drug solution follows. Some patients develop Horner syndrome immediately after the stellate ganglion block. 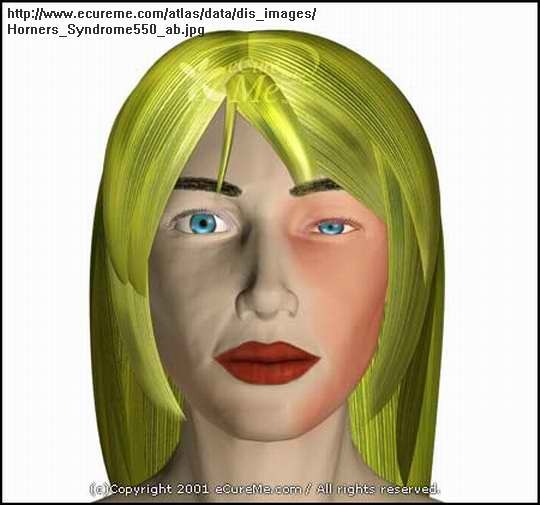 The symptoms of this syndrome are blepharoptosis, miosis (pupil shrinking) and anhidrosis of the blocked side. These symptoms subside after the local anaesthetic action has passed. The technique is completed within about 15 minutes. There are no evidence-based studies for the efficacy of the stellate ganglion block. 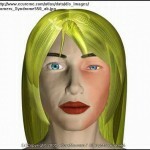 However, there are case reports and small clinical trials reporting impressive results in many patients. 1. Chester M, Hammond C, Leach A. Long-term benefits of stellate ganglion block in severe chronic refractory angina. Pain. 2000 Jul;87(1):103-5. 2. Elias M. Continuous cervico-thoracic sympathetic ganglion block: therapeutic modality for arterial insufficiency of the arm of a neonate. Middle East J Anesthesiol. 2001 Oct;16(3):359-63. 3. Gofeld M, Bhatia A, Abbas S, Ganapathy S, Johnson M. Development and validation of a new technique for ultrasound-guided stellate ganglion block. Reg Anesth Pain Med. 2009 Sep-Oct;34(5):475-9. 4. Klyscz T, Jünger M, Meyer H, Rassner G. Improvement of acral circulation in a patient with systemic sclerosis with stellate blocks. Vasa. 1998 Feb;27(1):39-42. 5. Lagade M, Poppers PJ: Stellate ganglion block: A therapeutic modality for arterial insufficiency of the arm in premature infants. Anesthesiology. 1984;61:203-204. 6. Lipov EG, Joshi JR, Sanders S, Slavin KV. Lipov EG, Joshi JR, Sanders S, Slavin KV. A unifying theory linking the prolonged efficacy of the stellate ganglion block for the treatment of chronic regional pain syndrome (CRPS), hot flashes, and posttraumatic stress disorder (PTSD). Med Hypotheses. 2009 Jun;72(6):657-61. Epub 2009 Feb 23. 7. Lipov EG, Joshi JR, Lipov S, Sanders SE, Siroko MK. Cervical sympathetic blockade in a patient with post-traumatic stress disorder: a case report. Ann Clin Psychiatry. 2008 Oct-Dec;20(4):227-8. 8. Lipov EG, Joshi JR, Sanders S, Wilcox K, Lipov S, Xie H, Maganini R, Slavin K. Effectsof stellate-ganglion block on hot flushes and night awakenings in survivors of breast cancer: a pilot study. Lancet Oncol. 2008 Jun;9(6):523-32. Epub 2008 May 15. 9. Marples, IL, Atkin RE. Stellate ganglion block. Pain Rev 2001; 8: 3-11. 10. Moore R, Groves D, Hammond C, Leach A, Chester MR. Temporary sympathectomy in the treatment of chronic refractory angina. J Pain Symptom Manage. 2005 Aug;30(2):183-91. 11. Narouze S, Vydyanathan A, Patel N. Pain Physician. Ultrasound-guided stellate ganglion block successfully prevented esophageal puncture. Pain Physician. 2007 Nov;10(6):747-52. 12. Shibata Y, Fujiwara Y, Komatsu T. A new approach of ultrasound-guided stellate ganglion block. Anesth Analg. 2007 Aug;105(2):550-1. 13. Stanik-Hutt JA. Management options for angina refractory to maximal medical and surgical interventions. AACN Clin Issues. 2005 Jul-Sep;16(3):320-32.